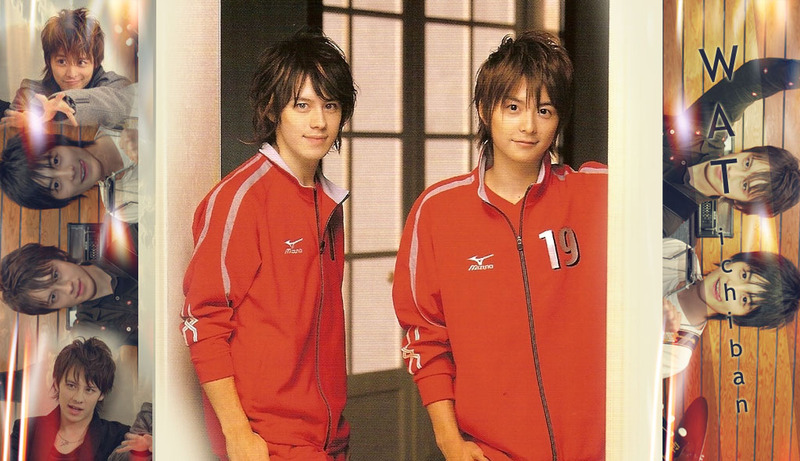 TEPPEI WHY YOU LOOK HANDSOME HERE ! oooh :O i can't wait for it to come out either!! so eager to have one now!! im so happy that ill have it ..
my fren has a brother in japan n she will have him buy for me XDXD!! i hope i can buy some here ! ..
whaa .. i also wish that someone will buy it for me ! I can't wait...I can't wait!!! yes he looks so handsome!! and it's so expensive after all the shipping costs etc etc. i wanna stay at Japan!!!! whaa ! i envy you ! 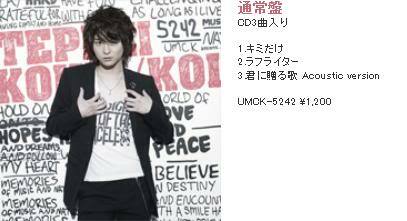 ..
i hope i have money to buy teppei's new album ..
Oh i can't wait in till i hear it KOIKE TEPPAI FOR EVER !!!!! U order from yesasia balball?? haven't come to the forum in ages!!! omg... can he get any hotter?? he looks so... handsome! i'm so buying the album! snow-chan ! .. how much does it cost you for the album ? ..
rahh. teppei looks much more matured with his new hairstyle. anyways, the songs are nice! hahah. though i prefer the rough writer/ laugh writer (whichever it is) more than kimi dake. hahah. it was 32 sing dollars~. it actually costs cheaper (about 25 SGD) if i buy it in the stores. didnt know they stock it on time or i'll have bought it from the stores myself!!!! speaking of stores, do you know where can i find the my favourite girl movie in stores? they sell them over at HMV. yupp, together with all the dvds. i found the HANDSHAKE COUPON in my very own kimi dake copy!!!!!!!!!!!!!!!!!! which means i actually HAD a chance to go for his handshake event. and it was forsaken just like that! haha dottie, i guess you can try the music stores that stocks international artists' items. any HMV or something like that over at your place?